Building Trust International is a non-profit charity that has been operating for years in Southeast Asia; it delivers environmentally and socially sustainable, affordable housing, drawing on local building techniques and materials and organises the Bamboo Festival in Cambodia. During that occasion, a central temporary structure needs to be built for use as both an exhibition pavilion and a gathering space for events during the festival. To do this, Building Trust International has approached architects with a competition aimed at finding someone to build this pavilion in bamboo, a renewable resource, traditionally used in Cambodia, a country that is undergoing rapid expansion. For this very reason - to keep down the environmental impact of that development - it is important to celebrate the intrinsically sustainable traditions of bamboo buildings, at the same time finding new ways to use and apply them to pay off the desire for modernity. So, the organisers have given creativity a real shout-out, given that we're talking about expanding the already huge portfolio of bamboo projects (link articles), not last of which also in the various workshops that Building Trust International offers each year. 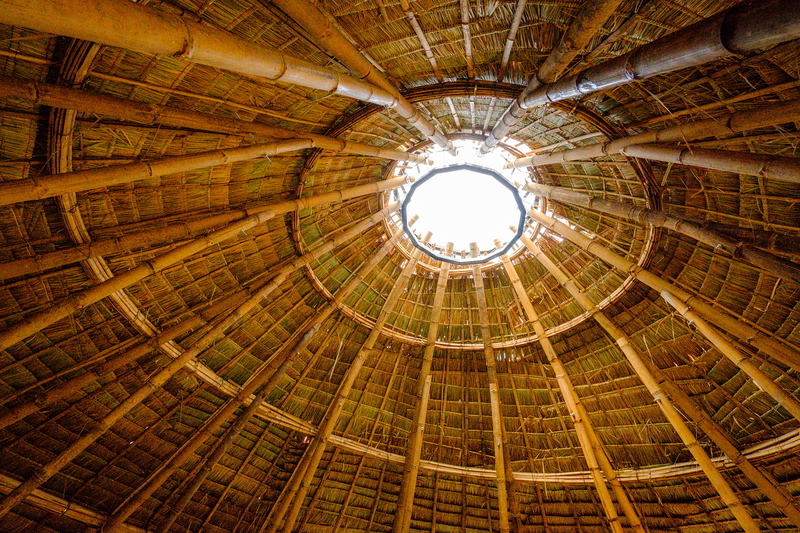 A building that can grab the minds of the public and overcome the stigma that bamboo is a poor material, a landmark to prove that Cambodia is a place where modern architecture with traditional building materials can be combined. The deadline for submissions is 17 March, so you've still got time to create your very own “landmark structure” that will be the face of the Bamboo Festival.